Goodbye MediaTemple.net – Perhaps we will meet again! I am not sure how clear I can be that if you are interested in LayeredTech, you need to find someone else. There is not company that I have been with that has earned as much contempt as LayredTech has earned. Well here it is, but unlike the last post LayeredTech is by far the worst of all the hosts that I have reviewed. This company is responsible for most of the ulcers I have experiences and could easily have cost us hundreds of thousands in reoccurring income every year. Layeredtech, and the previous incarnations defiantly hurt the reputation of one of my hosting companies. We (former business associates) had started with LayeredTech in late 2001. Long before LayeredTech acquired FastServers we were with PowerSurge. It was never made clear when we were no longer a PowerSurge customer and became a FastServers Customer. Our main reason for going with PowerSurge was cPanel. This would be our second cPanel provider (OCHosting was the first, and there is an avoidance post for them in the future). Prior to 2007, we had an average of 27 servers, and were at a point of paying over $7,000 a month. Meaning they were getting around $84,000 a year. They were our second cPanel provider, and we were intending to migrate from the first cPanel company (ochosting.com, a post about them later). What we did not know is the servers we were getting from them were housed at facility called Hurricane Electric (HE.net). This would become a network we would soon find to be one of the worst out there, as it was pron to outages and not to mention denial of service attacks. Its my own speculation but I tend to wonder if it was being targeted for retaliation purposes, or perhaps it was not that well secured. Somewhere along the way we were no longer a powersurge customer, but a FastServers customer. In early 2008 LayeredTech would buyout FastServers. Prior to doing a mass migration I personally contacted LayeredTech by phone and by email. By phone I was told to contact FastServers. By email I was sent to someone who they claimed would address my concerns, who after his initial response ignored my two attempts. It seemed that I was more concerned with them retaining my service then they were. By April 2008 we were already in progress of leaving because of an issue of refurbished hard drives (See below). The bulk of my cancellations with LayeredTech were coming in and before the end of the year most of our accounts were gone. I had notified them on their mandatory reason for canceling, that if they really wanted to know they should contact me. This was first done in April, they waited till July to respond to the cancellation requests as they would ask why I had canceled my first server. It was not till August 2008 I simply stop responding to their attempts to retain my service. Because they had canceled three scheduled phone calls. The last of which was to be a conference call, the arranger of the event was apparently sick, but no one else that was supposed to be in the conference call could check to see the conference system worked, or call me. By late 2008 we were down to 1 server at $350 a month because a customer was rather nervous about moving. But that would change by late 2009 after months of promises that a migration would be flawless (and it was). For which we were able to get the customer on a far more efficient server for far less then what FastServers would offer. By January of this year it was my pleasure to cancel the finale server with them before handing my controling interest of 4 hosting companies to the new owners. There response to me was “We are sorry you feel that way”. It was not a matter of how I felt, as it was their own actions that lead to this, and frankly we should have left sooner, long before LayeredTech acquired FastServers. Out of all companies we had a higher then average equipment failure. Out of the 74 servers we had with LayeredTech/FastServers we had a 40% rate of hardware failure. Worse yet we had a 30% chance of having a re-occurrence of failure. Not once were we ever issued any sort of compensation for a failure in service. I had even contact LayeredTech as a last ditch effort before moving to another provider, but LayeredTech seemed less concerned with the amount of time, the amount of servers, or the amount of money we had invested with FastServers. My issues first started with my 5th server back in early 2003. Later this server would be considered the worst that we have ever had. After getting another server to replace, I would ask for it to be mailed to us so we could either shoot it or run it over with a car. For that Aaron wanted to sell the server to us, otherwise despite its hardware failure history he was going to reissue it to another customer. Later on this would be funny because during 2008 they would start hounding us to get off 3 year old servers because they were worried about their durability. But this disaster was enough that should have gotten my business partners to join with me in finding new companies. Most servers that we get would have two or more drives for the sole purpose of back ups. Remote back ups were at the time not cost effective, and only reserved on servers that held customers that paid for the service. This server was no different and held a daily back up of all the content for every customer on its secondary drive. During the first disaster the main drive went out. For some reason Trevor of FastServers had to take the secondary drive out, and Trevor would tells us we did not know what we were talking about. After hours of calling, emails, support ticket of back and forth arguing When he finale decided to take off for 18 hours. I did not get any sleep and had to eagerly await for sales and billing to open. I had to contact Aaron in sales to confirm that we indeed were being billed and paying for a secondary drive. We had already suffered 10 hours of downtime by the time Trevor decided to take off, and this denial of a secondary drive cost us an extra day because apparently Trevor was the only one capable of finding and putting in our missing secondary hard drive. For our downtime and my 48 hour period of no sleep, I got a “This situation just makes me sick”. not an apology or I was wrong. Or for that matter nothing to compensate us for this seriously flawed service. 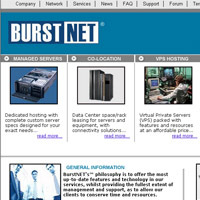 By this time we had more experience with a variety of suppliers, and it was rather clear the fail rate with LayeredTech/FastServers was beyond even some of the worst hosts like BurstNet. During 4 separate hard drive crashes we come to find out that we were being given refurbished drives every time. The claim was that drives were tested. But you would think after the second and third time it would be come clear that there was a danger of losing us if they did not give us a new drive. It was not until I had contact Aaron that we were going to leave that he took action to get what he claimed was a new server. While admit we did not have any further problems with this server, I was not confident that this was a new server. If you remember I stated that I had wanted the 5th server with FastServers/LayeredTech because I had a lot of hard ware issues with it. At the time the server was already three years old by the time we were in progress to replace it. Regardless of its frequent hardware failure, Aaron wanted to recommission it. But we were being contacted in June 2008 in regards to any server 3 years or older that they had to be replaced because they were at risk of collapse. Strangely they targeted any server that was under $200 a month, and they were offering me nothing around the cost of the server. I also no for fact that my company was not the first to use these servers. NO, and you should avoid this organization like the plague. I can not stress it enough, LayredTech could care less if your a customer tomorrow as long as you pay them today. Frankly I plan to add more posts aboutLayredTech as I have far more reasons why you should never use this company. LayeredTech and FastServers have burned any possible opportunity of me ever coming back as a customer. Godaddy.com was where this site first started. However a lot has changed since this was originally posted. 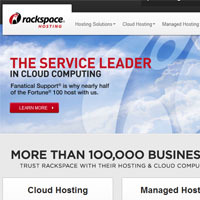 This site s currently hosted with Rackspace. The other sites I started with Godaddy.com has since moved to other companies after January 2011. I originally bought the domain for this site and hosted it with Godaddy.com November 2007. I did this because I wanted to have my site on a server separate from my hosting company servers. Its no secret that this all started as a way to vent off frustration at webhostingstuff.com (http://hosting-reviews-exposed.com/why-i-blog). In short I found they were deleting positive feed back for one of my sites. After 72 hours of making and remaking the video and site; contacting many of the hosting companies found in the top reviews sites, my creative energies would soon seem spent. I did not think much would come of what I had started. At least until Google contacted me early 2010r to take up adsense. I really did not think the video and a one page site would became a blog. But when ever you find someone reviewing a host on youtube.com you find my video next to theirs. Even though my video has not got as many viewers as a cute kitten video, I am getting far more traffic then the videos to get people to sign up for hosting. Lets face it, if your like me you want the good news last. When I go to a mechanic, vet, dentist, doctor…….. and they tell you I have good news and I have bad news. You cringe with a horrid thought of what the bad might be. Good news matters less then what the foreboding bad may be. I will say this about GoDaddy, the bad is not as bad as it could be. I will say that before November 2007, I had never had a shared hosting account. I had a geocities page and another free site from a company that went out of business. I made the strange jump of going from free hosting straight to a dedicated server. but till I got this Godaddy account I had never had a shared hosting account. I can say with confidence that I have not had a lot of problems with the shared hosting for hosting-reviews-exposed.com on GoDaddy. For that matter I have never contacted support in regards to this account. Sometimes the site is slow to respond. For that I think the site is getting to the point that it needs a more advance option. But that’s not always the case because this year I got a three VPS accounts. I got them at different times because I wanted my sites on different ips 2 of the sites are loading faster then this site, however the forth shared account (3rd bought this year) was offline every other day. At the time of this post the site was down 2 times, for about 3 minutes each time. This has happen over the course of 2 months. Granted uninterrupted uptime is not vital to construction of this site, but it would be annoy on other sites that I might construct. I also had two VPS accounts. One of which runs rather smoothly, but I can not say the same for the second. Getting the second one set up was a pain and I closed that account down and took that to another company. But to be honest I have not contacted Godaddy for resolution on this. This is because I like speedy resolution but I don’t like having to call to get it. I like companies that I can email, chat, or put a ticket in with. If you ever looked at one of my phone logs it becomes clear why I hate spending time on the phone. One wonderful example is I had spent 94 hours on the phone with Bank of America in 2008. In general I have not had a lot of support inquiries with GoDaddy. But when I do it sometimes takes 24 hours to get a response. Though I have found when I call them I tend to get the ball rolling faster. Having owned 4 hosting companies I know that most customers prefer telephone support over ticket, email, and phone support. I can not say that I am the same as I feel that I can give better details by a written system without having to repeat myself. Not to mention over 11 years of dealing with suppliers on the phone. I feel a lot of time was wasted in phone communications. That and I like documentation on my dealings with a company. I am not exactly sure when they offered this, but I am no fan of unlimited hosting. You read enough of my blog and you will see my position on hosting that clearly has limits when you try to test them. For almost three years I have had this site hosted with Godaddy.com. Up till late May of 2010, this was a 1 page website. During that whole time, I didn’t track the uptime and server response. It was until I started other projects I that had to contact anyone at Godaddy for support. During the life of this sites hosting account, I never contacted support in regards to this site. Granted the most complex thing that I have had to do with this site is add WordPress, themes, and related add ons. All of which was done without intervention from GoDaddy. But the traffic increase on this site lead to it moving to Mediatemple.net. Back in the beginnings of my first company integration was a far off concept. A customer had to send email (no ticket system at the time) to get an email or domain set up on the server. It was not till perldesk (or perhaps an early program) and cPanel that integration started to unfold for my company. Honestly I have to say in many ways I am envious of the system that they have. Customers are able to get a dedicated ip without human intervention from GoDaddy staff. Not to mention upgrade a share hosting account to more advance solution. Though ticket support is no where near as fast as phone support. It depends. What are your needs? Are you just starting? Than perhaps a shared plan would be ok. Have a site that is not a heavy resource user? As your site grows you might want to consider one of their more advance packages. But honestly, I have kept no site long term with their company. Would I recommend them for a large scale organization? No I would not. When it comes to a recommendation or opinion on a host I strongly suggest that you do your own research. By no means does a post be it negative or positive mean that the person has your best interests at heart. They may very well make a huge commission, of for that matter they may just be a disgruntle customer that no one can truly please that wants to hurt a hosting company. My finale opinion for GoDaddy.com is they are an ok place to start up a site from, but not a long term solution. Every day the emails I have been getting have been growing in intensity. The biggest question is “who do I recommend“. I had hoped putting up a page on how to look into a host would slow the emails down, but it has not. Frankly between this site and the projects that I am working on to for new forms of income. I have not had enough time to actually try new hosts. There is a big difference between recommending someone I find and recommending someone I use. Any company that I recommend would have to have an actual site that I have running. Currently I am to a point where I am spending as much time with email as I am trying to create new content for this blog. So I am going to tell you who I am currently using, and yes I will be putting up affiliate links. Now I know I have brought up affilate commisions as an issue with some of the companies that I have reviewed from webhostingstuff.com. But I did not bring up the issue with all companies as some had small affilate commsions. My only issue with affiliate programs is when they take a percentage that makes up most of the hosting bill. But by no means does this mean they are the best host out there, I have reasons that may very well change your mind into why you should sign up with them. Keep in mind most of the hosts that I am currently using are hosting sites in the production process. A sites being built from the ground up some that start out on a simple shared hosting, but sometimes it has to be set up on something else like dedicated or VPS hosting. Then I am going make post on hosts that I have used and might use again at a later date as well as hosts I have used and I would recommend avoiding like the plague. Those that I recommend avoiding like the plague will not have affiliate links, as I really have a hard time seeing these companies allowing me on their affiliate program after telling people that terrible these companies are. Though there will be some exceptions as some companies were bought out and they were so bad that being taken over by someone else could only be an improvement. To keep these mostly short and sweet posts I am going to do one company at a time. The first company will be who this blog has been hosted with since it started. 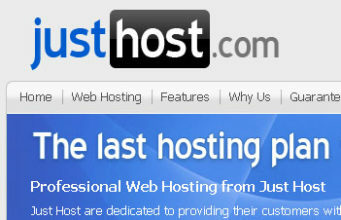 All hosts I am currently using or have used will be found under the category “My Hosting History”.